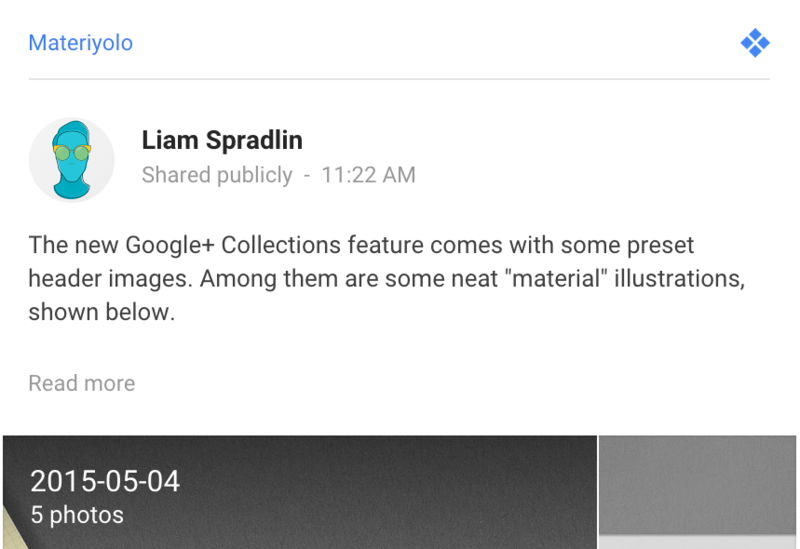 Google has now officially announced Collections on the official Google+ page. It seems that while Google hasn't actually released the official announcement yet (it's expected this morning), the Collections feature we've heard so much about in recent days now appears to be going live for some users. Signaling the new feature is a revised share button on individual posts. 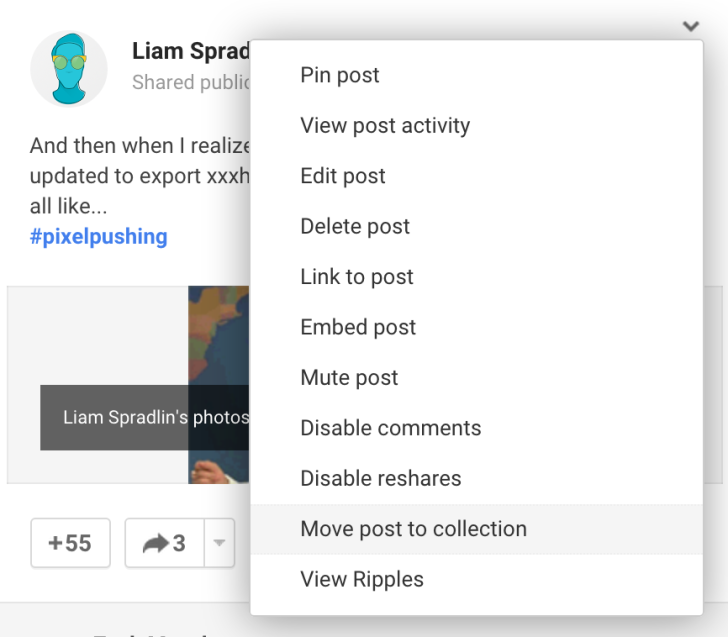 The button now has a dropdown menu, which will prompt a user to share said post to a collection or create a new collection. Clicking "learn more" will take you over to the Collections landing page, which will explain the basics and allow users to create their very own collection or view collections from their circles. For those who missed the previous rundown, collections are basically curated sets of Google+ posts. 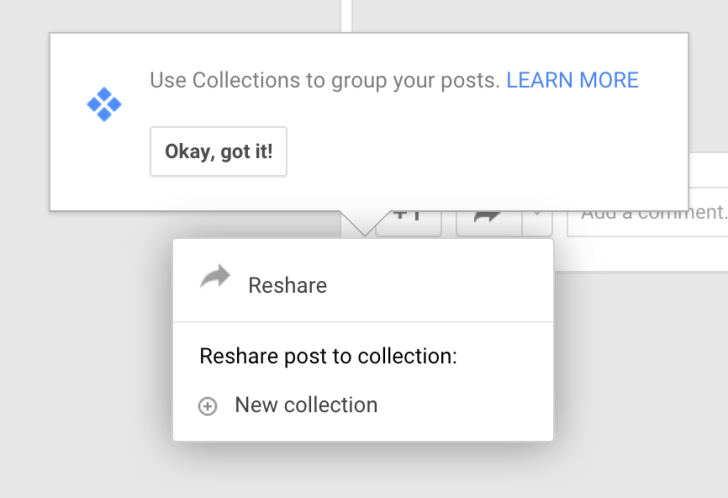 A user can create a new collection based on their interests, and then add posts to it using the share menu. Other users can then follow and share that collection to keep up to date with posts relevant to the topic. After setting up a collection, a user can move their own posts into said collection, or re-share a post into a collection. Posts belonging to a collection will have a simple indicator, similar to community posts, like we saw in the initial leak. As we noted last night, the feature is expected to roll out to web and Android users over the span of a day or so - so if it hasn't shown up for your account just yet, sit tight.